Following on from our post on how to use Google Docs as a lightweight CMS, this is how to include editable tabular data with custom fields in your WordPress theme. 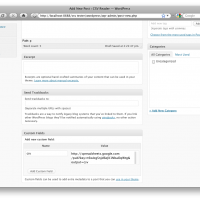 With both files saved, log in to your WordPress admin, and create a new post. Below the post and excerpt textareas, under Add custom field, set the Name to ‘csv’ and the value to the url of your Google Docs spreadsheet (or any .csv on the web) – in this case http://spreadsheets.google.com/pub?key=t6wIcgSnjd6eJX1NbaOqWtg&output=csv. 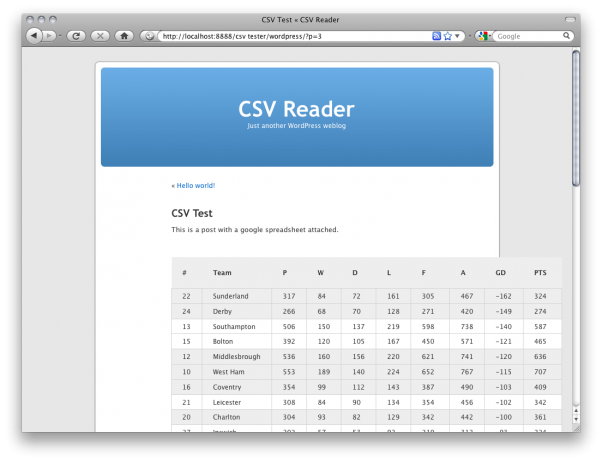 Press Publish and admire your spreadsheet! Obviously, your theme will need to be big enough to accomodate your table! Any amendments to your original document will be updated on your post – great for collaborative data or dynamically generated spreadsheets. I got it working. Great stuff! 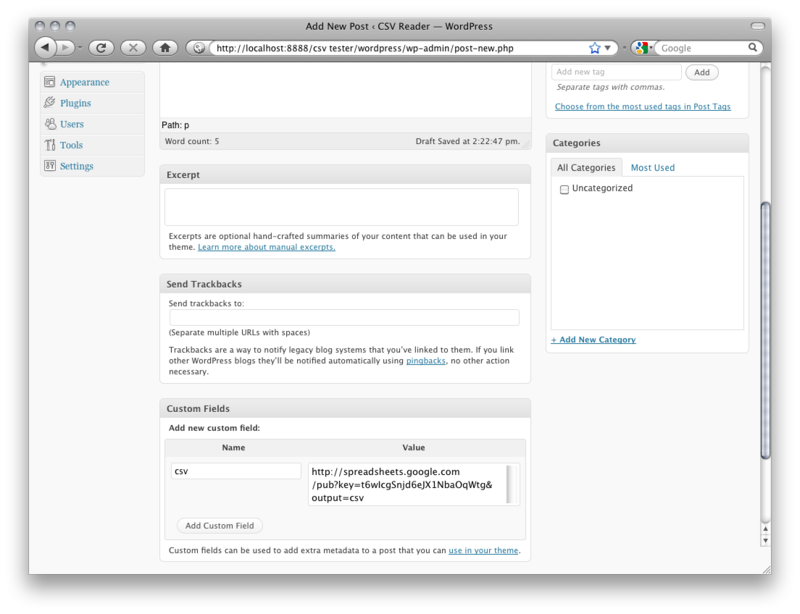 Now if I could make that data searchable via the WordPress search function, that’d raaawk! Sorry, forgot to post my fix for anyone else that comes across this. I just had to increase my PHP Memory Limit. Im interesting to this with page instead of post, how to do that?